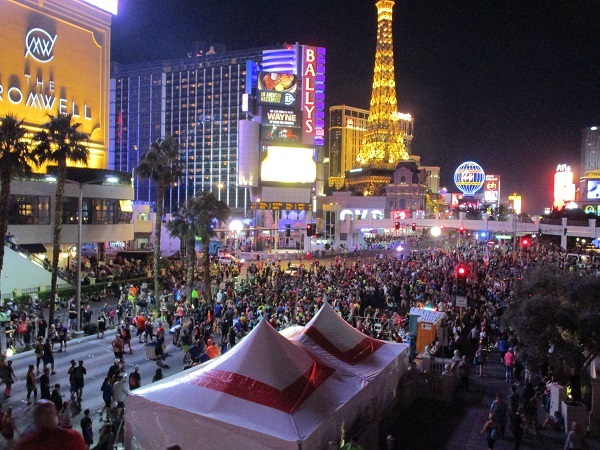 The Rock ‘n’ Roll Las Vegas Marathon is becoming an annual event. Held in November, it has now been held for eight years. 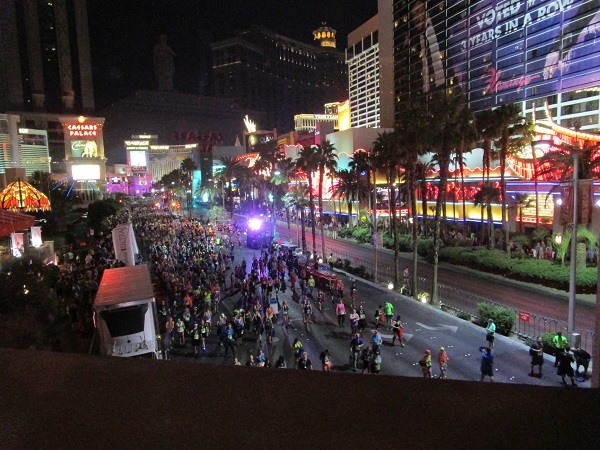 Last year it was run on November 13, and I have been meaning to get some photos up on the website. In addition to the marathon, they also have a half mile marathon. 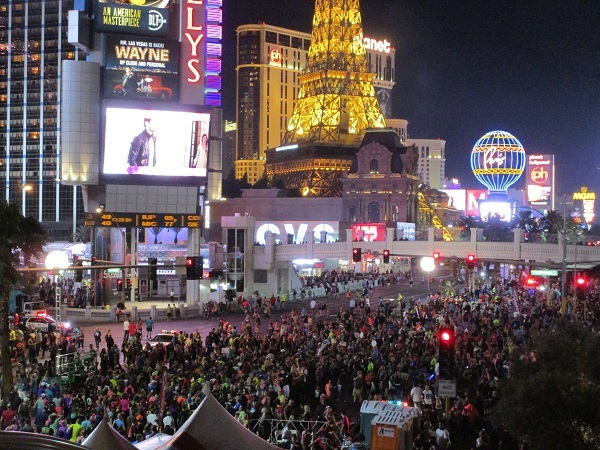 Both of these races, as you can guess, take place on the Strip. This event used to be held with a morning starting time, but the last couple of years, it has started in the late afternoon and finishing in the late evening. 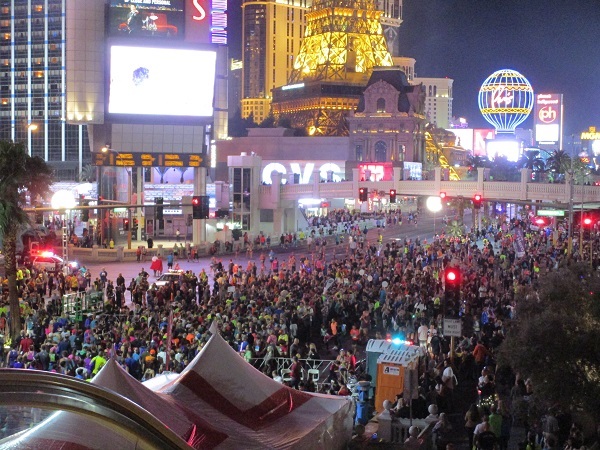 When the event has ended, the large gathering of people at the intersection of Las Vegas Blvd and Flamingo Rd. is almost surreal. Here’s a few pictures after the event was over. For a self-guided tour of 18 things to do for free on The Strip, read our new book Free Things To Do on the Las Vegas Strip: A Self-Guided Tour by Matt Lashley. It is also available on iBooks, Barnes & Noble, Kobo, Scribd, 24Symbols, and Inktera.